A great big plastic cup comes flying towards you. It feels flimsy in your hand. It looks and feels cheap. You know you won’t be allowed to use it again, and you can’t see a recycling bin in the surrounding area. Or you decide to go for a walk along the seafront. It’s a sunny Saturday afternoon in your beloved town, and you feel like being a tourist. You start off with a coffee to walk along the beach with. You receive your plastic lined cup and wonder if the vendor uses biodegradable cups. They don’t. Now what? You go get a selection of lovely local sea food – some lovely prawns, some jellied eel and maybe some pickled whelks! Why not! It’s the weekend! Oh, but that’s in some nasty polystyrene too. And again, you can’t see any recycling bins nearby. So you sit on the beach… with your plastic cup full of beer, or your polystyrene container full of seafood. And as you finish up, you pop it next to you, and continue to look out to sea. A gust of wind blows your container towards the sea. You jump up, conscious not to let it go in. You wouldn’t want some poor sea creature to suffer because of your single use plastic, so you chase after it and catch it. As you straighten yourself up, you look around for a recycling bin. You can’t see any, so you resign to carrying it until you find one. You don’t find one, so you prop it on top the overflowing bin you can find, and hope it gets picked up soon, before it gets blown into the sea. You carry this plastic container with you all night, thinking about it, heavy on your mind. You wonder if the next bar will serve your drink or meal in plastic too. “What’s the solution?” you ponder. Bring a container with you? Maybe a reusable coffee cup! Or you could keep cutlery in your handbag! And one of those modern new steel straws you saw at the Open Market the other day! That’s it, you think. I’m going to change this mess, even if it’s just me. You feel empowered. You’re making a change. Because you love your town, and you want to care for it. One reusable item at a time. 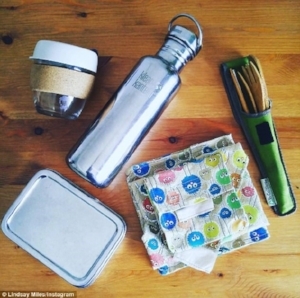 We suggest a few of the following as a starter kit to getting you on the way to being plastic free whilst out and about. 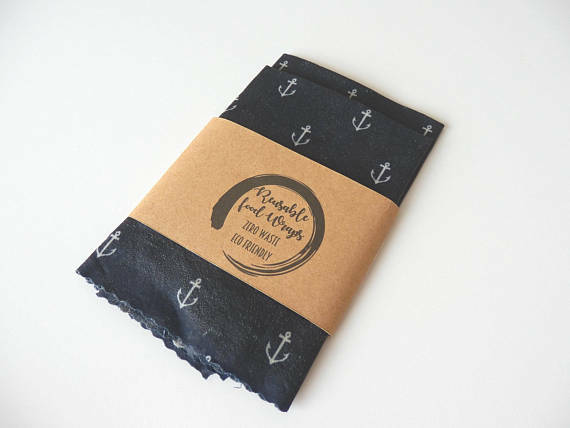 Reusable food wrap that replaces the need for cling film. 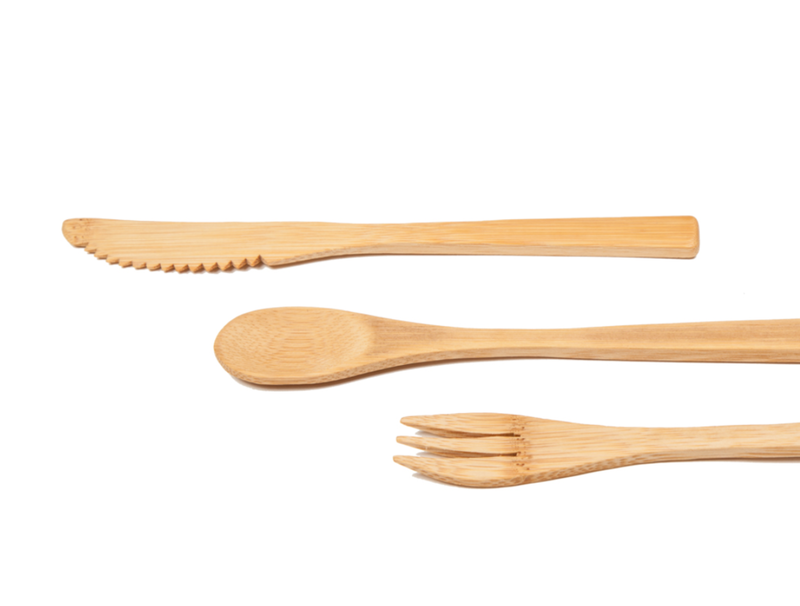 Take these wooden utensils on the go to avoid having to discard single use pieces of plastic. 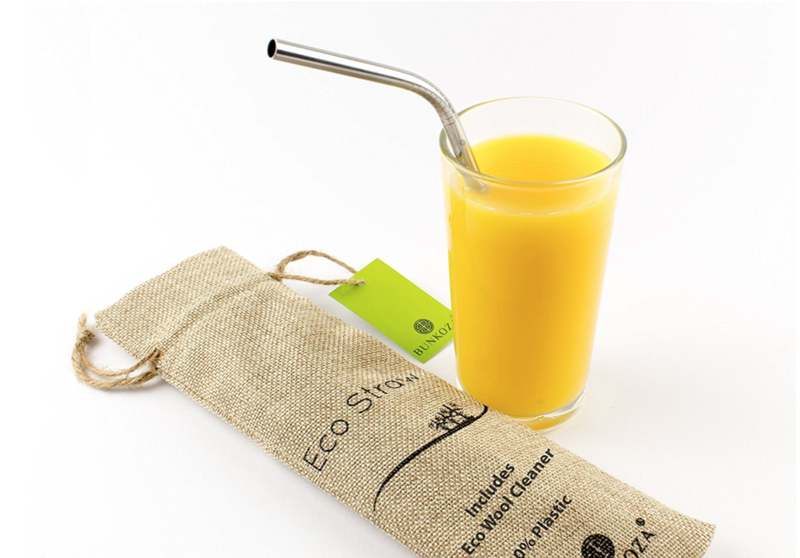 Reusable drinking straw that you can take with you everywhere! A two tiered stainless steel lunch box that'll cut out the need for plastic containers. 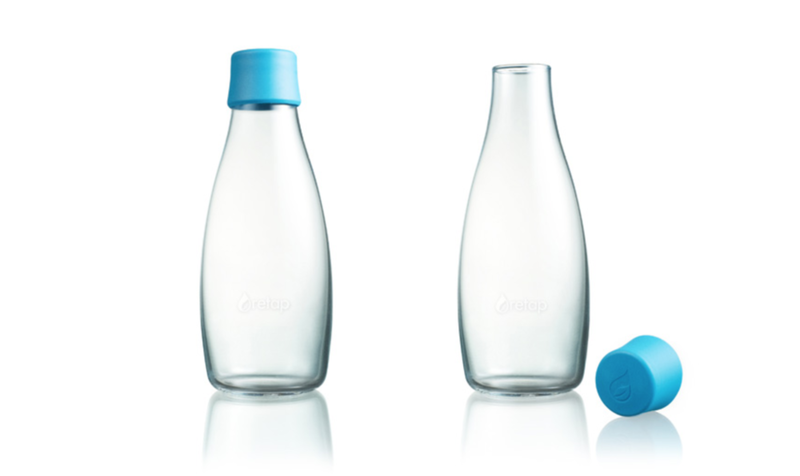 Reduce the need for carrying around excess plastic with a reusable Retap Bottle.